..is a kind if ribbon that I am fond of as well as the location for one of the loveliest oasis in London. 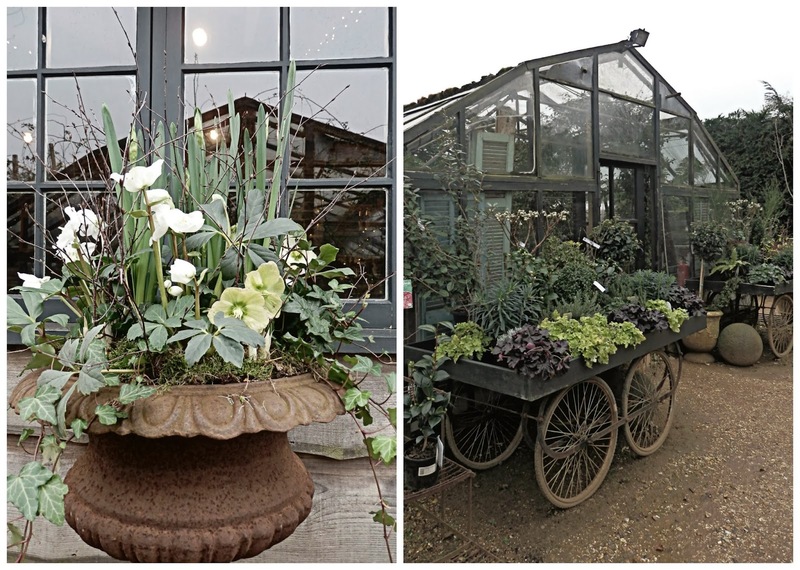 Petersham Nurseries. outside; stair-rods, cats, dogs, torrents, teeming, slaking, deluge of grey rain ribbons. The house is almost moated. I wend my way out of my Sussex bunker...mossy green damp...along the back lanes for as long as possible, until the inevitable. The wide multi-laned loop known as the M25. It's funny, that road urbanises me, I snap quickly into my street smart sassy London self of 20 years ago.The M25, a necessary evil. I imagine London laid out in the centre of a child's play rug with this thick grey motorway enclosing it, tiny cars and lorries wheel around, clockwise anti-clockwise endless movement.Inside each coloured metal capsule, lives. All those lives being lived, all those reasons to be on this road with me at the same time. I wonder about those men in their saloons all grey and joyless, grim faced, motorway hardened, not really there at all. And then I recognise I am falling down the rabbit hole and I concentrate. I have one of those brains that remembers rabbit runs, short-cuts, detours. In a previous life a cabbie! Heading for West London and I begin weighing up Esher? Hampton Court? Kempton Park? Twickenham? Perhaps take in some of my old haunts...I lived in the Hampton-Richmond environs for years, for happy years. Arriving in Ham at Petersham Nurseries the cloud is lifted. 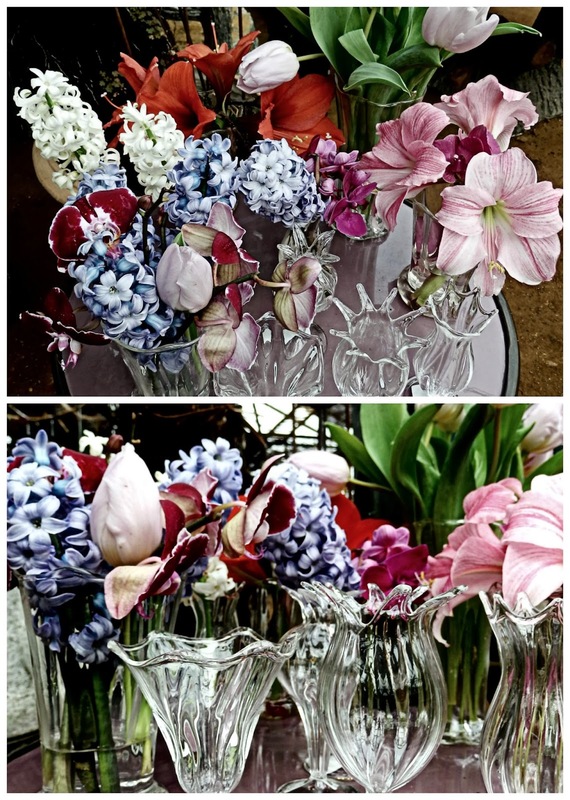 Here your senses can feast...wherever your gaze travels, vignettes and tableau, flowers, objets, antiques. 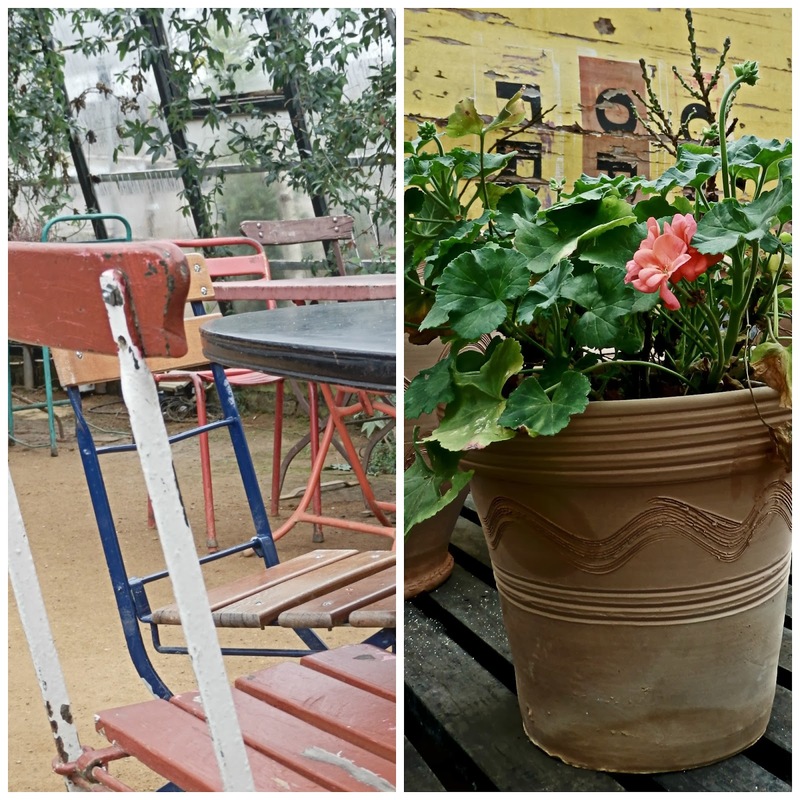 I am the kind of girl who values the ambition of running a restaurant in a greenhouse with mud floors, fairy lights, paint chipped shutters and the kindest food you could wish for. When I say "kind" that is not to diminish it , the food served here is delicious and beautifully cooked. What I mean is, it nourishes, honestly and simply and never disappoints. Taleggio & Watercress Risotto followed by Slow Roast Lamb shoulder with Pearl Barley, Sweet Potato , Rocket and Pomegranate are you smiling? So that's me, just trying to create some sunshine of my own. Pools of warmth to step into now and then and imagine the onset of springtime. Confession: Valentine's Day once taught me a very valuable lesson. When I was at school and you measured your value by the silliest things, the number of Valentines cards you received being a primary example. I had a particularly successful year, I was amazed, all these cards and all for me....One of these cards shines in my memory. 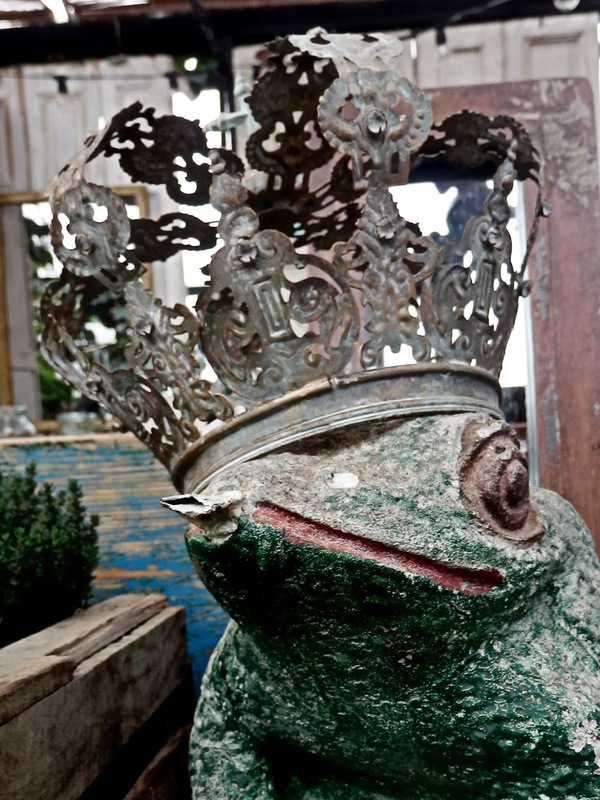 It said "You've got to kiss a lot of frogs before you meet your Prince". Walking home from school I thought a lot about those words and by the time I got home I had come to a very significant conclusion. "I am NOT going to kiss lots of frogs" so I didn't. The following year I received one card from a Prince. I hope he was a very charming Prince! 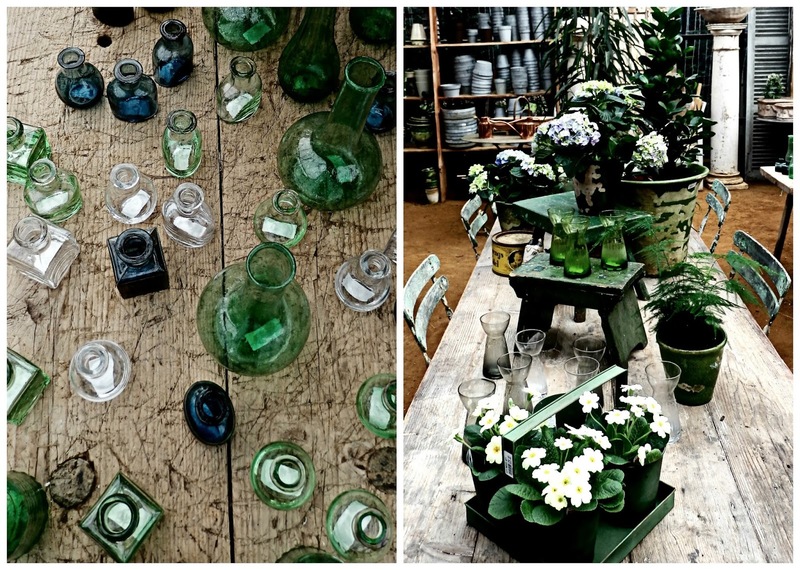 Love all the photos from the nurseries, it sounds like just your kind of place. your words . . . your photos . . . your sentiments . . . so lovely! Hello Sarah Jane down the lane. This is my first visit to your blog. 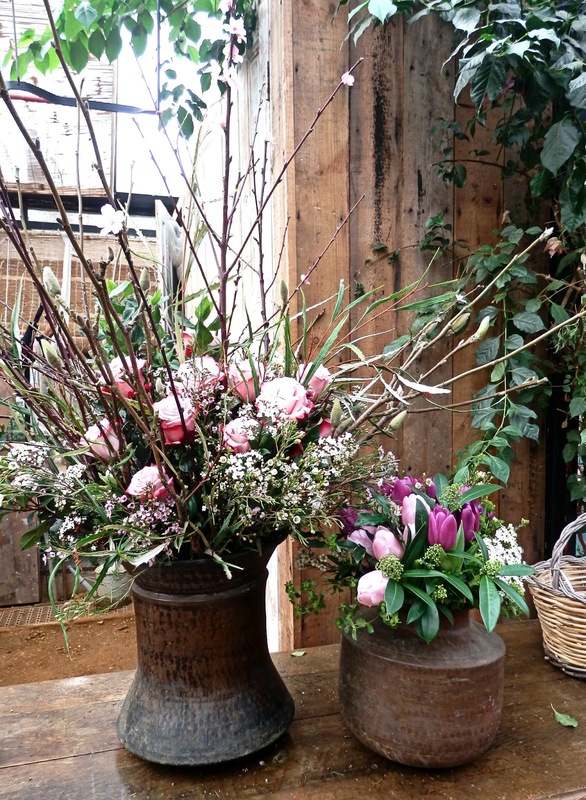 I am so glad I cam today soI could go to Petersham Nurseries with you. The meal sounds wonderful and the photos show it to be a beautiful feast for than eyes too. I love England. I'll be back again to visit. Maybe we can have some tea. Sarah, I have heard of Petershams from Jeanne at Collage of Life who mentioned it was a favorite place of hers. It looks lovely and the found sounds even better. There is something to be said for beautifully prepared food that nourishes the soul. What a great find.. it looks like a place I could easily spend a lot of time. And a few pounds.